Here at Willow Mangament we have been really enjoying the latest series of 'Doctor Who'. We are very pleased to have had two of our short actors featured in two of the episodes. 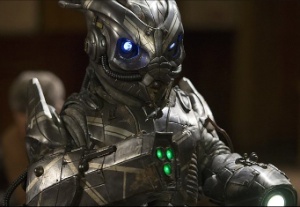 Rusty Goffe played Little John in 'Robot of Sherwood' and Jimmy Vee was one of the deadlist killing machines ever created, Skovox Blitzer (pictured), in 'The Caretaker'. New for series 8 of 'Doctor Who', starring Peter Capaldi and Jenna Coleman, the BBC have launched an additonal programme which takes a behind the scenes look at how each episode is made. 'Doctor Who Extra' is a must watch for anyone hoping to work in TV or film industry either as an actor or behind the camera techinician. You can currently watch all episodes from 'Doctor Who' series 8 and 'Doctor Who Extra' on the BBC iPlayer. 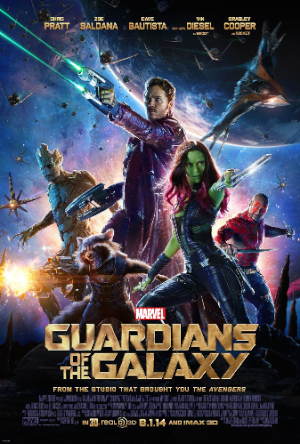 Guardians of the Galaxy is about to hit UK cinemas and here at Willow Management we couldn't be more excited. Ever since we were first contacted a couple of years ago to help cast a body double for Rocket and some short actors for a particular scene, we knew this movie was going to be special. Every thing we've heard from the set and every trailer and clip released has only enhanced our anticipation. Directed by James Gunn and produced by Kevin Feige, Guardians of the Galaxy continues to expand the same Marvel universe we have seen in Thor, Iron Man, Captain America and The Avengers. You can view the trailer on the Marvel YouTube channel here. We are very proud to have worked on this must see movie. Guadians of the Galaxy is released in th UK on 31st July and in the US on 1st August. 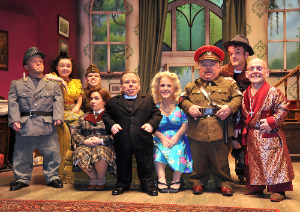 The first ever tour put on by The Reduced Height Theatre Compnay is coming to a close. We at Willow Management are so proud of what the whole cast has achieved. All of the reviews for 'See How They Run' were fantastic and, as were the audiences all over the country. Putting on a play with a enitrely short cast has been a dream of Warwick's for many years, giving the performers the opportunity to be difined by their talent, and not by their height. The RHTC has done this in spades, changing the opinions of theatre goers, critics and casting directors. May the success of the Reduced Height Theatre Company continue to grow and with it many more opportunities for our actors.